Rewind: The David Steinberg Show | TV, eh? This week Rewind revisits the golden age of the variety show and looks back at The David Steinberg Show. The David Steinberg Show (CTV, 1976-1977) was Canada’s stab at a variety show but this one had a quirk — it was a show within a show. It is often compared to The Larry Sanders Show and It’s Gary Shandling’s Show — and even The Muppet Show. 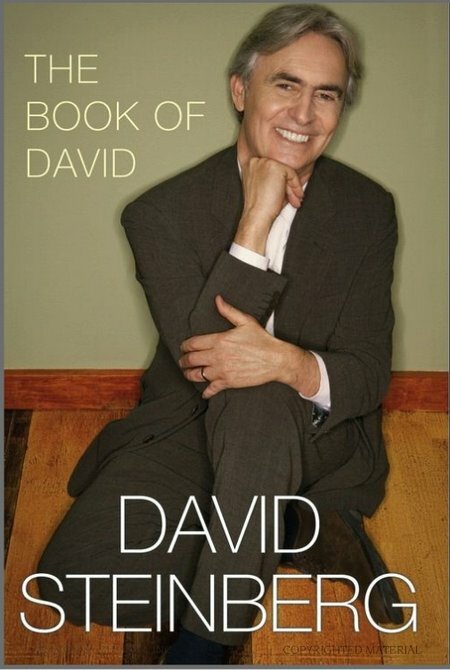 While technically a sitcom, The David Steinberg Show consisted of large segments of a fictional variety/sketch show which would often be watched by those in a nearby diner. As this particular diner also happened to be across the street from where the variety show took place, it wouldn’t be out of the ordinary to see celebrity guests from the show pop in to talk about whatever it is that’s on their mind. This could range from the variety show, its sketches and even Steinberg himself. It was a unique concept and one that was integrated quite well. David Steinberg hasn’t been a stranger to TV. He was a frequent guest on the Carson-era Tonight Show and occasionally hosted the short-lived The Music Scene. Since his stint on CTV and the American incarnation of The David Steinberg Show, he has guest hosted Saturday Night Live knockoff Fridays and has directed sitcoms ranging from Designing Women to Living in Your Car. Some may also remember him from his TV Land interview series Sit Down Comedy with David Steinberg which aired from 2005-2007. Looking back at the show, you could spot a few actors who would later make up the cast of SCTV. Martin Short, Joe Flaherty and John Candy of SCTV fame all made appearances during the show’s run. Visually, the show wasn’t anything particularly special. The sets and animated intro felt very 70s and aside from the mildly convincing diner, the sets for the most part seemed nonexistent and uninspired. Considering that variety shows are rare finds on television today, CBC’s The Ron James Show is probably one of the closest things to The David Steinberg Show today. While The Ron James Show doesn’t feel quite as much of a show within a show as The David Steinberg Show did, it does feel like a hybrid of two distinct TV genres. The Ron James Show is a mix of Ron James’ famous stand up and a sketch comedy show, somewhat like a less politically focused Air Farce. The Ron James Show is often tied together with a cohesive theme which is introduced in his stand-up monologue and continued into the assorted sketches that take place during the show. It’s a bit reminiscent of how the early episodes of Seinfeld used Jerry Seinfeld’s stand up to set up the theme for the sitcom to come ahead. While I couldn’t argue that either The David Steinberg Show or The Ron James Show is particularly good, they both represent examples how Canadian television could twist tried and true television formats and bring something new to them. Unfortunately both stumble out of the gate and provide a fairly underwhelming television experience overall. The half an hour run time seemed a bit too short for The David Steinberg Show‘s ambitious concept. You might get lucky in the time allotted and get one sketch with a monologue and spend a bit of time in the diner. An hour might’ve given us sometime to see some great sketches within the fictional show and get ample time in the diner to see the characters do their stuff. The Ron James Show, I felt, suffered from long and tedious stand-up bits when I wanted to see some sketches, but when the sketches arrived, most of them were underwhelming. Relive The David Steinberg Show or try it out for the first time yourself by picking up The Best of The David Steinberg DVD on Amazon.